As technology advances the world becomes smaller, large percent of the workforce is no longer tied to the regular 9-to-5 office hours. Now, it is not uncommon to flip through your Instagram and see images of a media manager, or creative freelancer, or a techie with internet access living a picturesque life abroad. 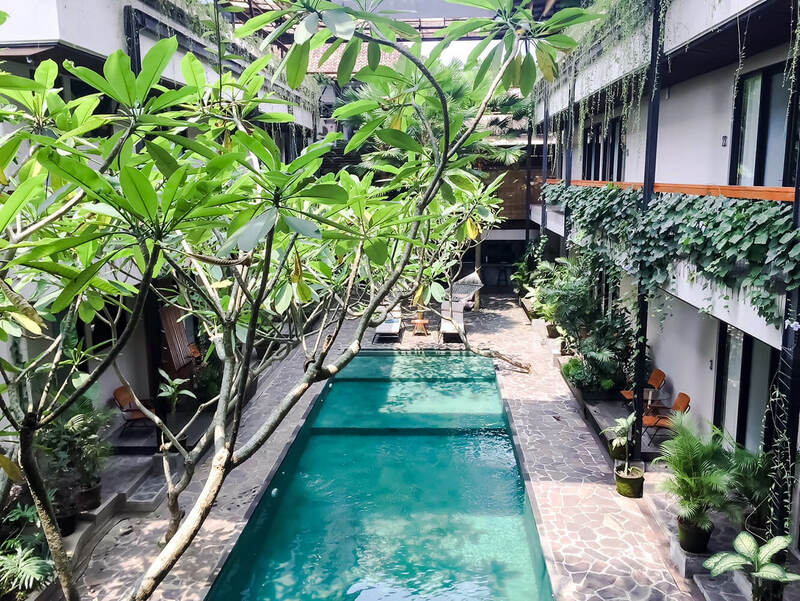 Modern professionals have made the world their office, and these “digital nomads” are spreading their wings and organising their work-life around their life-life. As this trend becomes more popular, and more accessible, the coworking space industry has experienced an awakening. Coworking is a bit like home-sharing, or ride-sharing, but with office space. Professionals from different companies and industries can simultaneously use the space in different capacities to achieve their professional goals; or, to just socialise. Though it found its beginnings with the start-up and entrepreneur world, it has now grown into a widely diverse industry, with individual companies tailoring to specific industries and types of remote workers. Even big companies are jumping towards the trend, recognising the worker benefits and to support innovative idea exchange. According to Deskmag’s Global Coworking Survey there are now approximately 14,000 coworking spaces worldwide, with about 1.2 million professionals using coworking spaces regularly. And those numbers are on the rise. 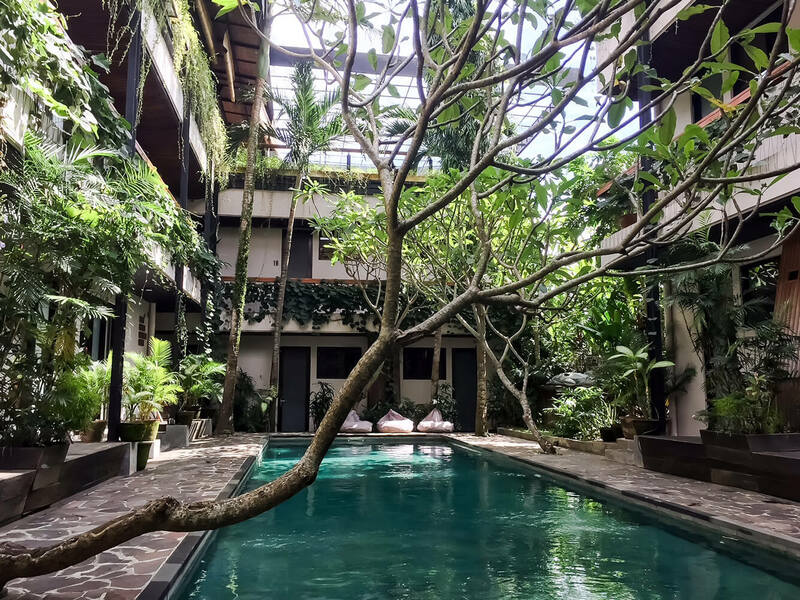 It’s easy to see why when you consider the increased job satisfaction, sense of community, and professional benefits that come with switching your desk life with a digitally nomadic one. One of the key draws to coworking spaces lies with their community – in fact, many coworkers cite this as the number one reason they use the space, as opposed to a café or working at home. Being surrounded by professionals from multiple industries in a communal space gives people a sense of belonging and greater connectivity, as opposed to just one company culture. Each space has its own vibe, often carefully curated by the managers, that allow for co-workers of different types find the perfect setting for their needs. Often this includes social activities and networking events to help further bond these communities together. These workplace communities serve important purposes. First and foremost – it makes coming to work a much more enjoyable experience. By sharing the work experience without necessarily relying on others to complete your goals, you can build friendships that make the day-to day fun and exciting. Aside from the type of work they may be doing, those that are able to work flexibly also experience much higher job satisfaction. This can come from a number of factors, but the reason that largely stands out is the sense of job control that comes from working flexibly. 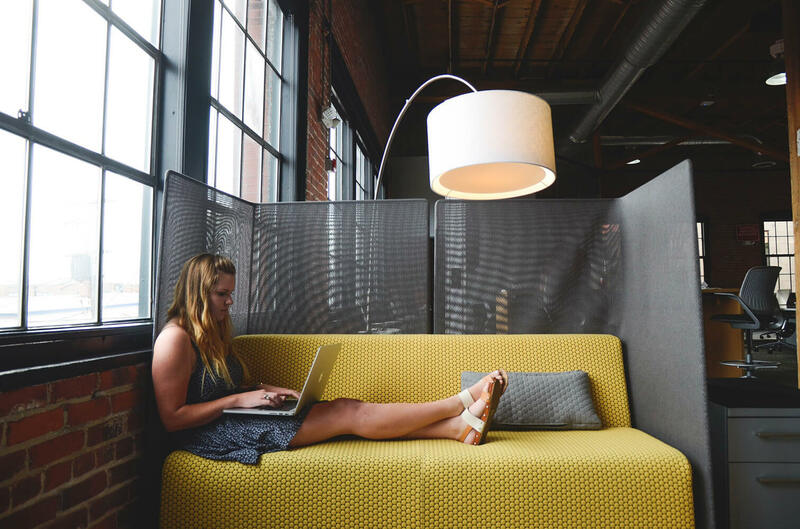 Coworking spaces are typically open 24/7, meaning that one can put in a long day at the office if need be, or take the time to go to the gym at noon if they have some free time. The fact that the office culture is comprised of members of many different companies means that there is no need to feel threatened by internal politics (often the case in corporate environments). A professional can focus on the work when it’s time to be productive, and then take the time for their lives when they need to. This autonomy is a huge reason why people report higher job satisfaction when working out of coworking spaces. Do you have a young business, or are a manager of a company looking for some out of the box ideas? By placing employees in a coworking environment, a company can attract top talent, monitor competition in a friendly setting, and develop strategies based on the collaborations in the space. These coworking business development incubators drive innovation and collaboration, and have potential benefits for both young businesses and corporations as a whole. Companies of all sizes want to keep an ear to the ground when it comes to potential disruptions in their industry, and coworking spaces provide the ideal environment to do so. 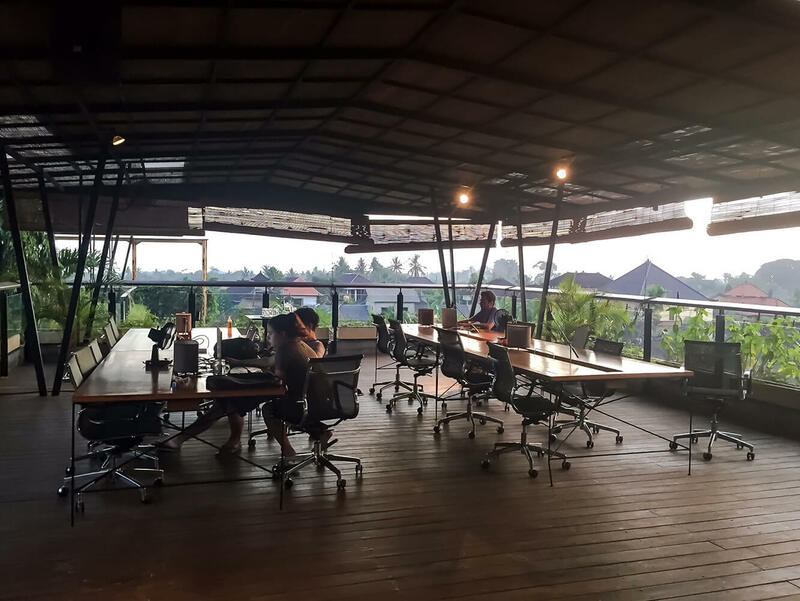 Earlier this year as I prepared for my trip to southeast Asia, a friend recommended that I look into coworking spaces as an alternative to traveling. As a freelancer, it seemed like the perfect opportunity to get work done and travel at the same time, so I got in touch with Roam. What is interesting about this particular space is that Roam combines coworking with a type of coliving environment. Essentially, it acts as a co-op program where people can live, work, and socialise all within one setting. 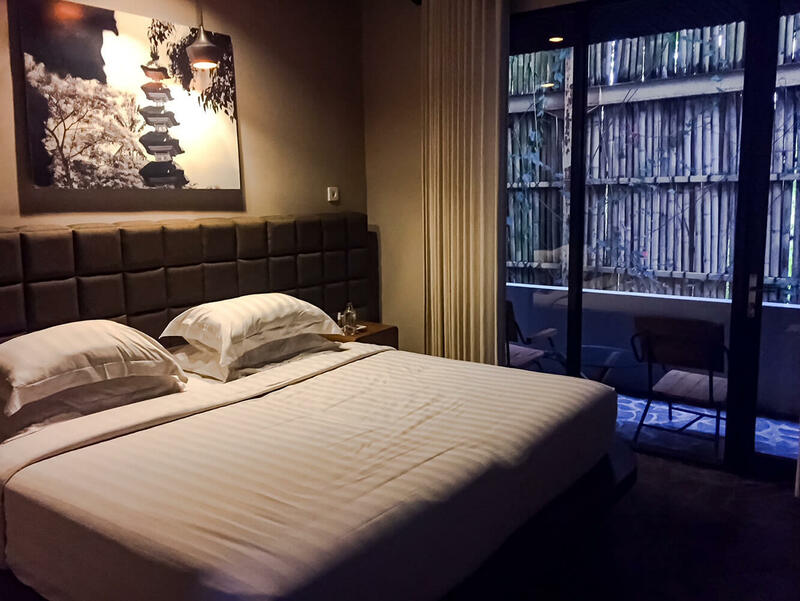 Roam currently has 5 locations worldwide: London, Miami, Tokyo, Ubud and San Francisco, with a new location opening soon in South America. 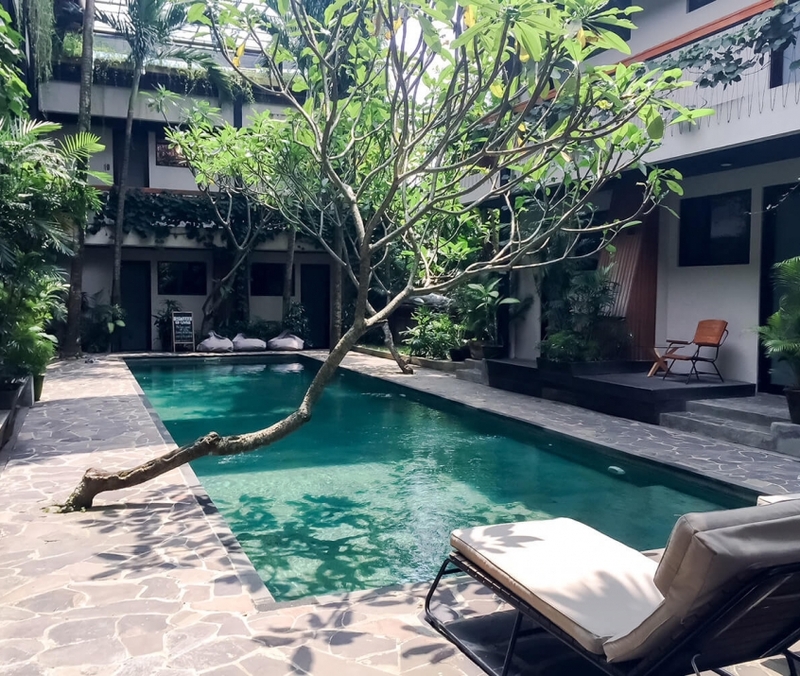 Their place in Ubud is a converted contemporary boutique hotel which hosts two dozen rooms, with a gorgeous swimming pool in the middle of the building. The coworking space is located on the top floor, and when you go up to the rooftop you can enjoy open-air yoga and meditation space. 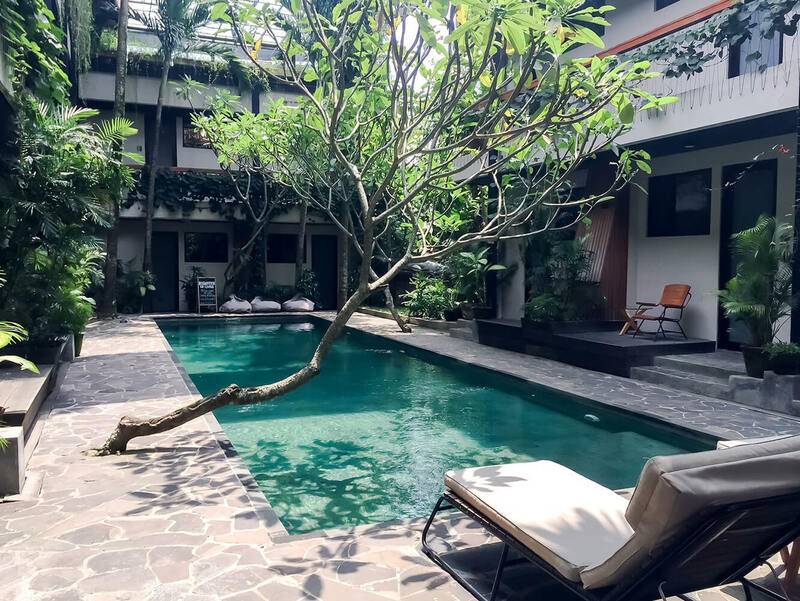 ‘Roamers’ use the communal areas, such as the kitchen and poolside, for occasional gatherings and to network with other travellers or residents. The most rewarding part of the experience by far was getting the opportunity to meet incredible and inspiring people and get a chance to open my world through listening to others’ stories. 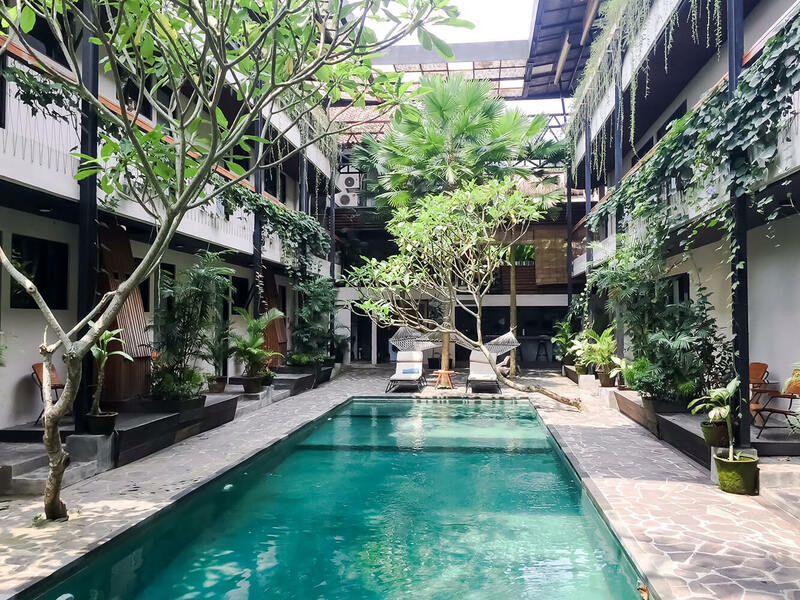 After the positive experience I had, I plan to not only visit Roam next time I am in those cities, but seek out other coworking spaces as well to increase my global community, and boost productivity as I travel the world. 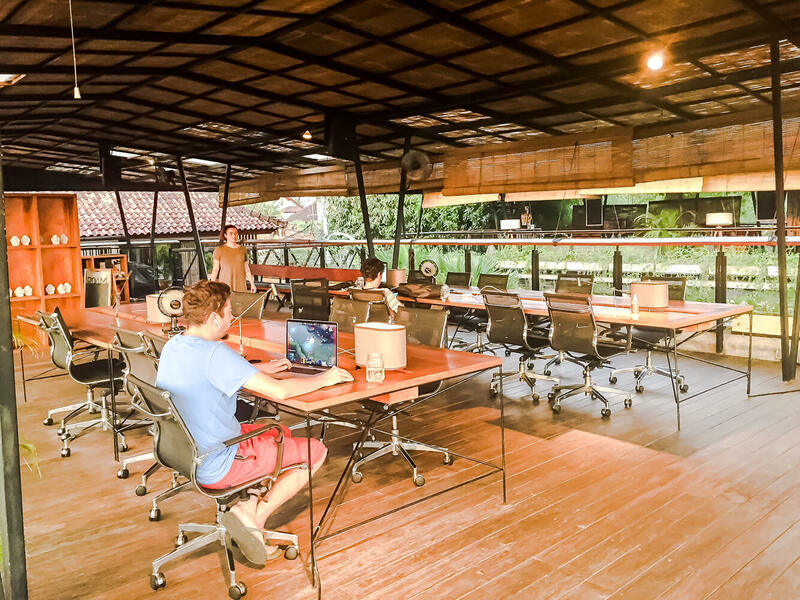 The digital nomad, and coworking industry have irreversibly changed the way that millions approach their careers. As the labour market continues to diversify, there is no question that we will continue seeing growth in this market; some statistics quote around 4 million coworkers by 2020 internationally. We can expect further differentiated offerings, packages, and spaces as the industry catches up to the demand of workers’ individual needs. For example, keep an eye out for self-care options like health clubs, restaurants, spas and retail. 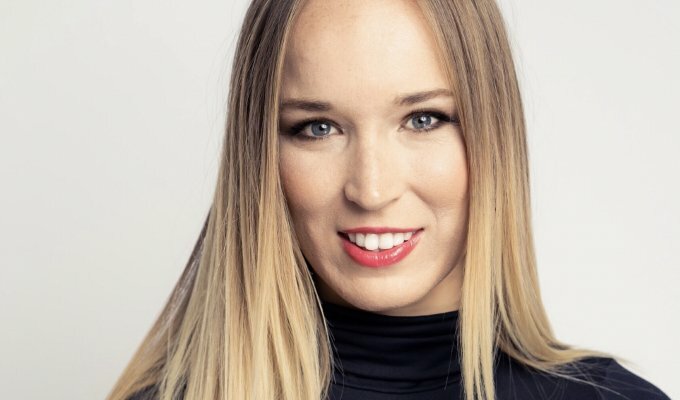 Certainly, it will be important for these competing players to work hard to build unique communities, either through technologic solutions or brand and business collaborations. It will also be interesting to see how these businesses continue to integrate their experience onto the digital platforms. Employers should take note, and start to think creatively about how to use this work revolution to increase employer satisfaction and look towards the future. Have you had an experience with coworking or coliving spaces? Share your story in the comments! 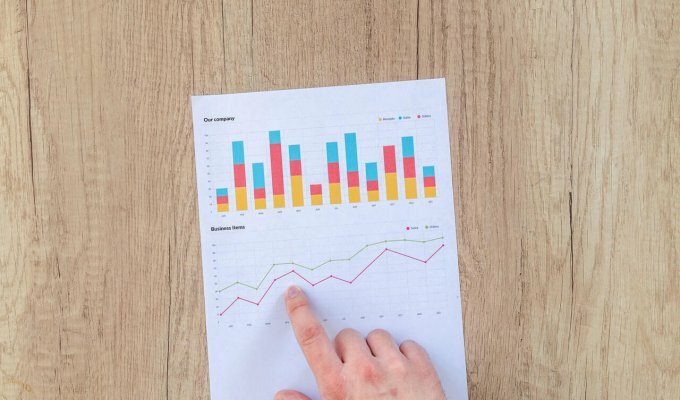 The Creative and the Investor - How to Get Funding for Your Business?